Custom Memphis Pool Builder Dedicated to Bringing Your Vision to Life! Our friendly staff has over 75 years of combined swimming pool experience; ranging from pool kit excavation to keeping your swimming pool crystal clear! No matter what, we are here to serve you! Natures Path Pool & Landscape is the premiere outdoor living construction company for Memphis & surrounding areas. Specializing in custom gunite swimming pools, spas, outdoor kitchens, fireplaces, structures, and landscaping, Natures Path Pool & Landscape has the experience and know-how to construct projects of any size and style. Call (901)753-2111 today for a design & estimate for your project! Advantage Pool Services has been in business since 1996! Our staff is knowledgeable and all of our field technicians are Certified Pool Operators CPO by the NSPF (National Swimming Pool Foundation). Royal Swimming Pools has over 35 years serving the swimming pool industry. Our staff has over 75 years of combined swimming pool experience from pool kit excavation to keeping your swimming pool crystal clear. Royal Swimming Pools has been proudly serving the swimming pool industry for over 30 years! Our family owned and operated business started in 1987, servicing and installing swimming pools in the greater Memphis area. 10 years later we began to showcase our pools and services on our own website which quickly drew attention from all over the world! Instead of just featuring our work and services, we began to sell various pool products online. Now, we are one of the most recognizable brands in inground packaged pools in the U.S. and have a wide variety of products available completely online! Saunas, gaming tables, automatic safety covers, hot tubs, grills, liners, slides, fencing, entire pools (above ground or inground) and much more are all available to you within a click! As the industry continues to grow, we continue to adapt and stay innovative. Most importantly we have continued to strengthen our connection with our consumers by offering superior customer service in all departments. It is an honor that the Better Business Bureau has awarded us with an A+ rating for the last 15 years as a result! Our friendly staff has over 75 years of combined swimming pool experience; ranging from pool kit excavation to keeping your swimming pool crystal clear! No matter what, we are here to serve you! We are dedicated to offering high quality products at great prices and to make you feel like royalty every step of the way! For over 50 years, Hawaiian Pools and Landscape has been the premiere swimming pool, landscape, and service company serving homeowners in Tennessee, Mississippi, Arkansas, and Kentucky. We excel at providing an overall, comprehensive approach that involves both gunite and vinyl liner pools along with landscaping, structures, hardscape, and all other outdoor living amenities. After a project is complete we are never far away with our service department, weekly maintenance division, and retail store. We aspire to perpetuate relationships long after the construction process is complete. Brewer's Pool & Landscaping Co. 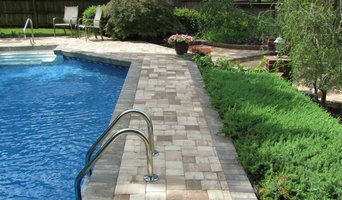 Brewer's Pool & Landscaping Co., Inc. is one of the oldest Memphis design build firms operating since 1963. We specialize in custom gunite swimming pools, gunite spas, water features, pool houses, outdoor kitchens, and professional landscape design and installation. Our in-store showroom offers a complete line of unique outdoor furniture, accessories and outdoor entertaining products to complete your outdoor space. Advantage Pool Services has been in business since 1996! Our staff is knowledgeable and all of our field technicians are Certified Pool Operators CPO by the NSPF (National Swimming Pool Foundation). Our repair techs are certified as Certified Service Technicians CST by the ASPS (Association of Pool and Spa Professionals). Whether you're looking to build a new pool, renovate an existing one, add a Hot Tub to your backyard, in need of pool service or swimming pool supplies, we have what you're looking for at MEMPHIS POOL SUPPLY. The standard of excellence...since 1952. Creating a comfortable and inviting surrounding for your home using creative and practical landscape enhancements that will live with you and your family for years. Growth Spurts Landscape/Irrigation/Pool has been doing business in the Memphis, Germantown and Collierville areas since 2000. Our creative ideas will inspire you, enhance your home and help increase your property value. Our main focus is giving you the yard you want by incorporating elements such as: gunite or vinyl liner pools, stone patios, Landscaping, garden ponds, outdoor accent lighting and irrigation systems. Our experienced Landscape professionals will do the hard work so you can sit back and relax to enjoy your outdoor living space. Tallulah Pools, Inc. specializes in gunite, vinyl lined, and fiberglass pool construction. We also offer retail, service, and cleaning routes and maintenance. Tallulah works with you for a full backyard makeover, including firepits, fire places, custom fountains, splash pads, natural stone decking, stamped concrete, shade cabanas, waterfalls, awnings and more. We offer complimentary estimates. Build a smart pool with the experienced at 2600 S. Madison Street, serving Jonesboro and the surrounding areas for 15 years. The LuciteLux® team, located in the Americas, is part of Lucite International, a global leader in the design, development and manufacture of acrylic-based products. Our passion lies in providing the world of design with a continuous flow of exciting acrylic products that help transform creative ideas into brilliant solutions for today’s fast-moving world. LuciteLux® has a simple brand promise, ‘Just Imagine’. We’re about opening minds, widening horizons, encouraging challenge and stretching the imagination. We’re also about combining beautiful aesthetics with strong performance capabilities to ensure our products consistently add value no matter where they are used. Family Owned & Operated swimming pool contractor operating for more than 30 years. Family owned and operated since 1973 … We, John and Scottie Payne, have owned and operated Environments by AR Pools & Spas since 1973. We have provided top-quality service, products, and support for over thirty years. Our friendly staff and skilled technicians can help you with everything from pool and spa service and parts and repair to proper water balance. Our retail space is over 3000 square feet and full of items for our customers to help you enjoy outdoor living. We offer a large selection of pool games and toys, fire pits, fireplaces, and outdoor accessories. We’re more than just a pool store. We offer a lifestyle…and we help you make staying at home fun! Tri-State Construction and Landscaping is a custom project builder. We believe the strength of any contractor is the ability to deliver quality projects that fulfill the customer's dreams with unmatched results. When you choose us, you are choosing a company that will deliver your dream not only with integrity, but will exceed beyond your expectations. We are excited about the work we do and the relationships we form with our customers. We strive for creative excellence in every project we undertake. If you’ve been dreaming of relaxing summer days spent poolside, it may be time to consider hiring a Memphis pool builder. A professional can not only help with design and pool installation, but also aid in appropriate maintenance once it’s complete. Whether you're at the beginning stages of planning or want to revamp your existing pool, a pool company in Memphis, TN will be able to get you on the right track. What exactly do Memphis pool builders do? If you are planning for a new pool in Memphis, TN, a swimming pool builder will analyze your outdoor space and your aesthetic wishes to determine an appropriate design for your yard, installing it once the plan is developed and approved. Once installed, some pool companies in Memphis, TN can handle the necessary cleanings, water testing, renovations and equipment replacement or repairs for your pool or spa. If not, many can also suggest Memphis, TN swimming pool contractors or maintenance services to help with upkeep or repairs down the road. Here are some related professionals and vendors to complement the work of swimming pool builders: Garden & Landscape Supplies, Landscape Architects & Landscape Designers, General Contractors, Landscape Contractors, Solar Energy Contractors. Before hiring a swimming pool construction company to create your new Memphis, TN pool, determine how you'll be using it. Will it be for fun or for lap exercise? Will the primary users be children, adults or a mix of the two? Knowing the use can help you find Memphis pool builders who shares your aesthetic. Once you find swimming pool builders in Memphis, TN who share your style, research is critical. 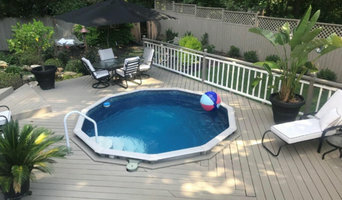 Review customer references and comments, collect at least three to four estimates to compare, meet with potential Memphis pool designers and builders in person and ensure that they are Tennessee certified service professionals and licensed with the registrar of contractors before making any final decisions. In addition, get a sense whether they plan to complete the pool installation and be done with it, or whether they seem interested in building a long-term relationship with you. Be wary of the former: it's likely a reflection on the level of quality of the pool construction they do. Find a Memphis pool contractor or designer on Houzz. 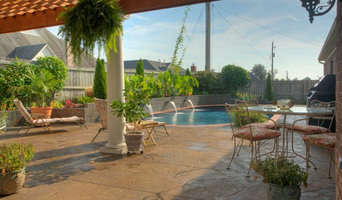 Narrow your search in the Professionals section of the website to pool builders in Memphis, TN. You can also look through Memphis, TN photos by style to find a pool or spa you like, then contact the local pool company who designed it.